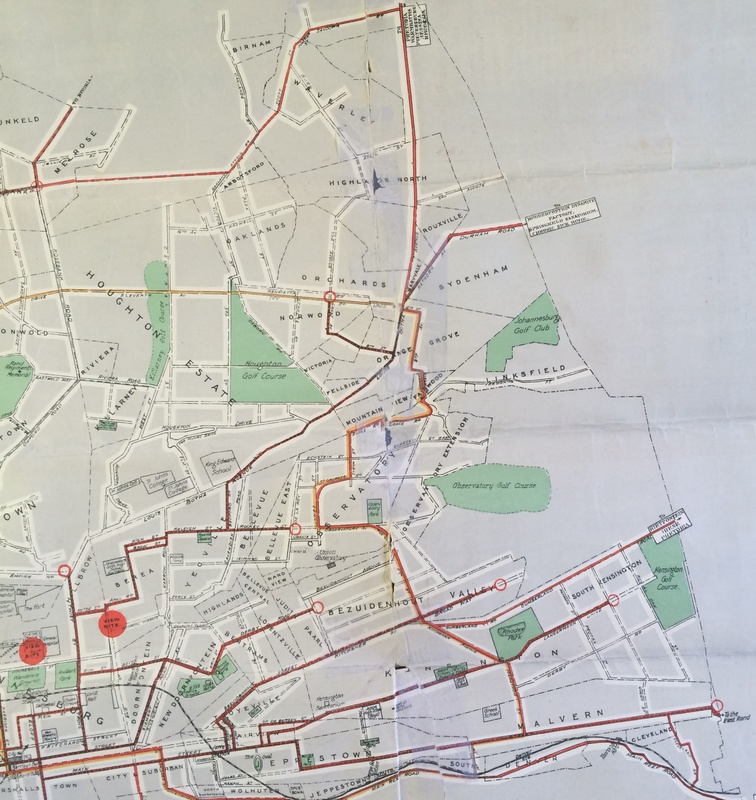 My book dealer tracked down this rare map of the Johannesburg tram system from 1931. I’ve taken a picture of the full map but as it’s quiet a big fold-out map, it doesn’t photograph clearly. 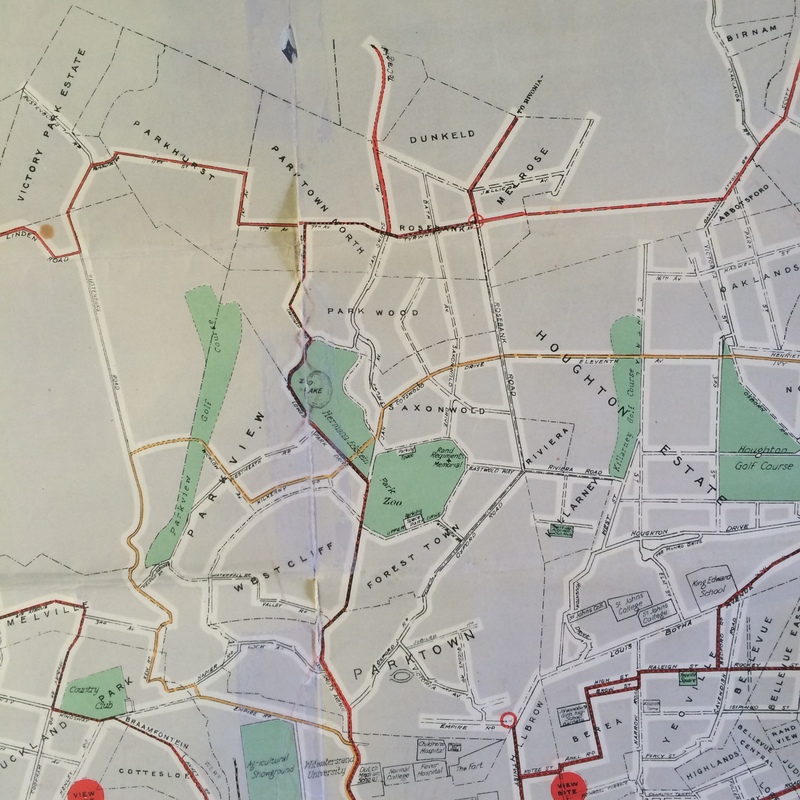 There are some smaller and clearer sections of the suburbs presented below as well as tram information printed on the reverse side of the map. 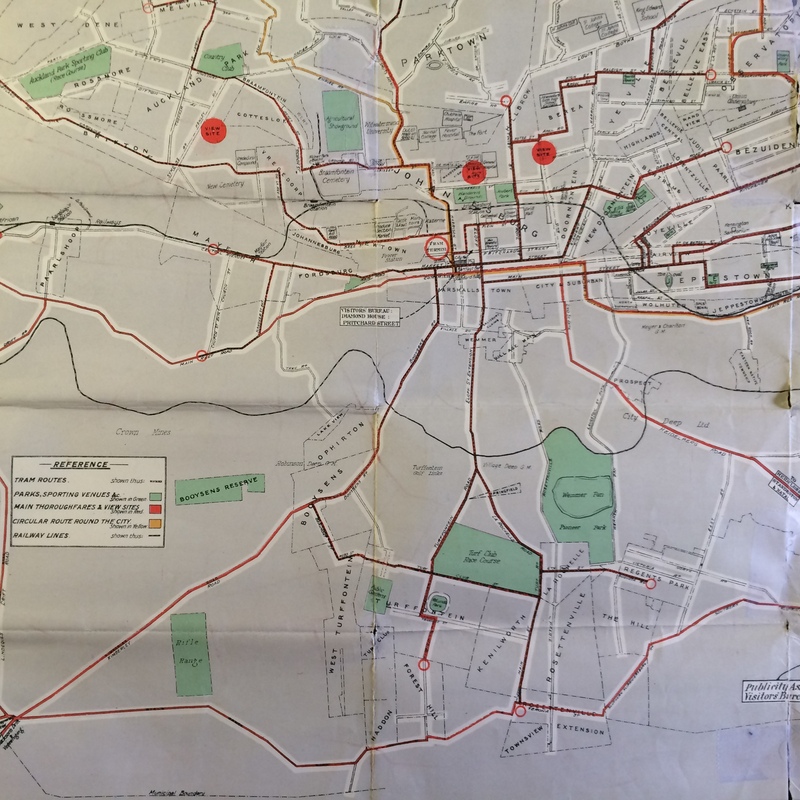 I’ve also added these images to the piece I did on the history of Johannesburg trams earlier on in this blog. Check out the full piece here. The next piece ‘Braamfontein Pt.4’ and a Pt.1 of a new piece on the ‘Lost Churches of Johannesburg’ will be published around the Easter break. Click the images for larger views. 21 Mar	This entry was published on March 21, 2015 at 1:32 pm. 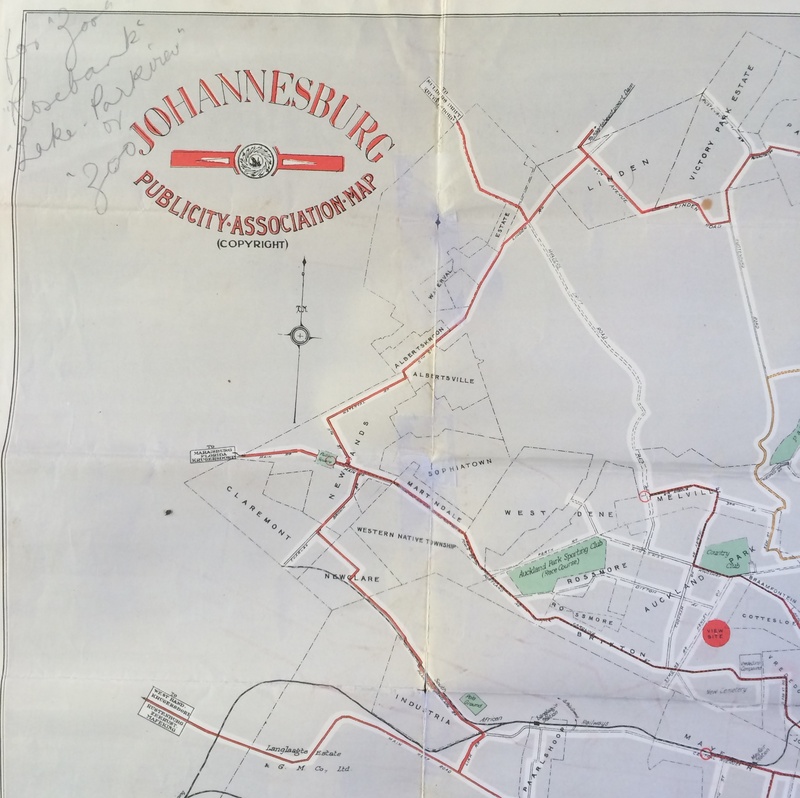 It’s filed under Johannesburg and tagged Early Johannesburg, electric trams, history of johannesburg, Map, trams. Bookmark the permalink. Follow any comments here with the RSS feed for this post. 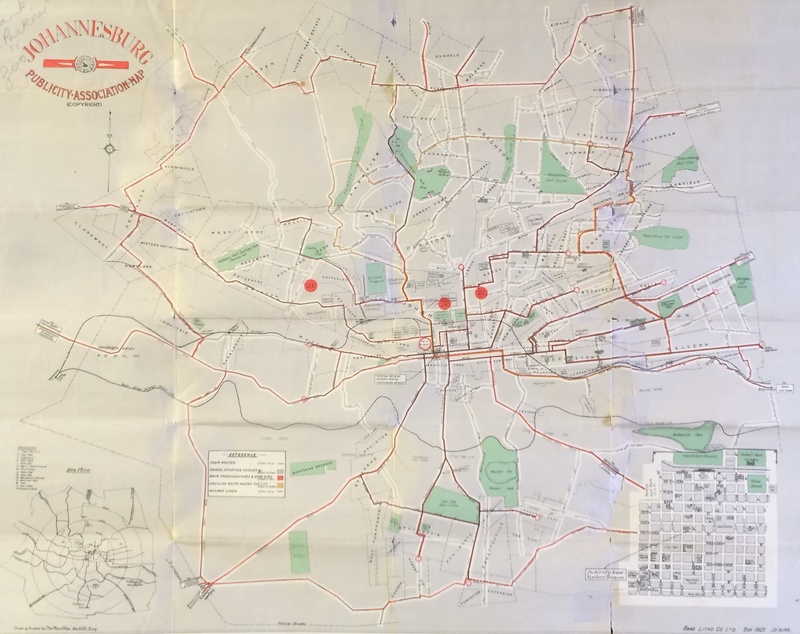 A most interesting map of the Johannesburg tramways. 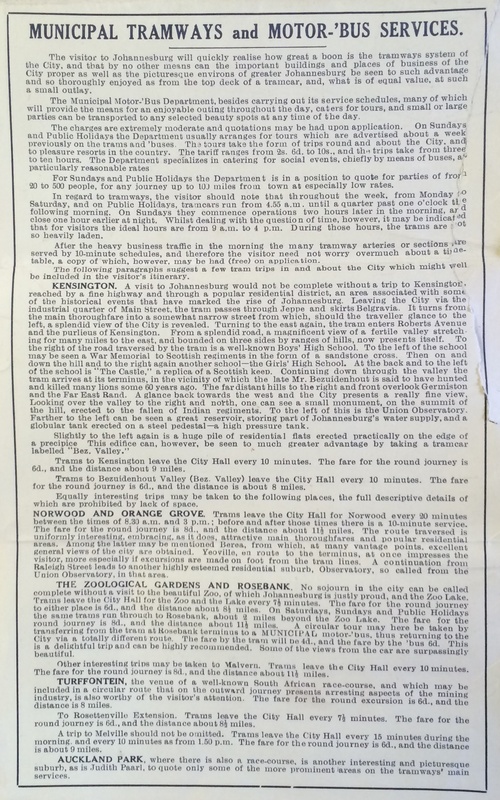 Also are the descriptions of the various tram routes of nostalgic value for those who have ridden on the trams. What I very much would like to see is a map of the tram track layout at that time. 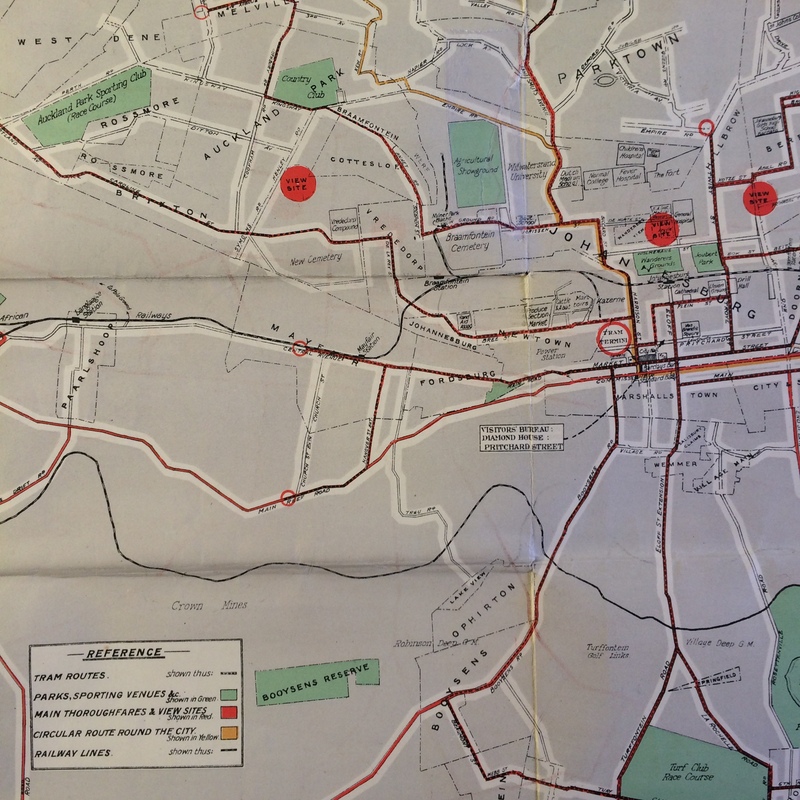 *A most interesting map of the Johannesburg tramways indeed. 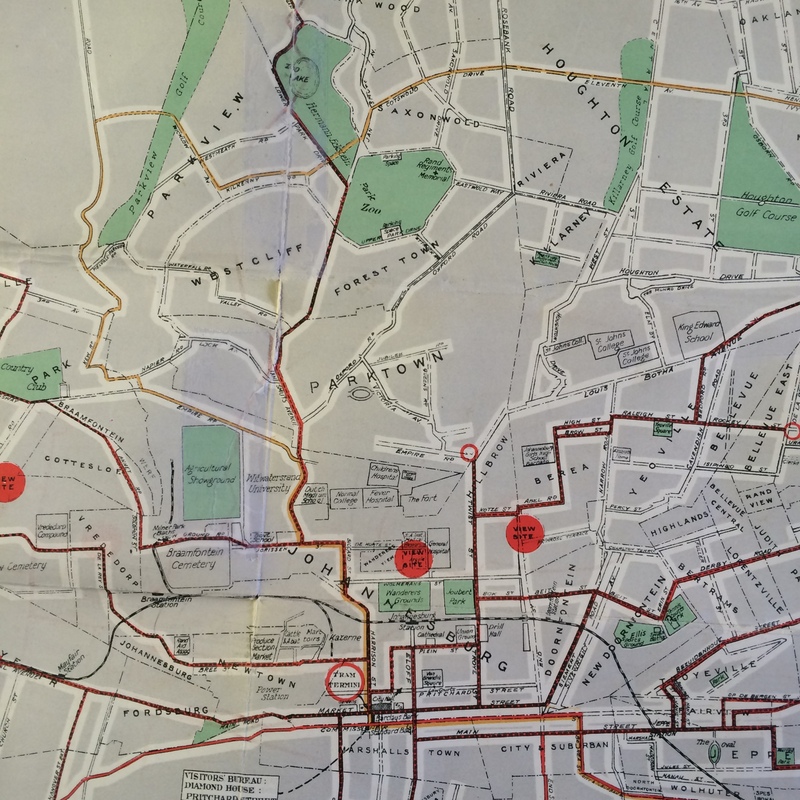 I am familiar with most of the routes from 1948 to the closure of the system on the 18th of March 1961. What would be extremely interesting for me would be a map of the track layout of the routes on your map. If I ever come across the layouts, I’ll certainly post them here! 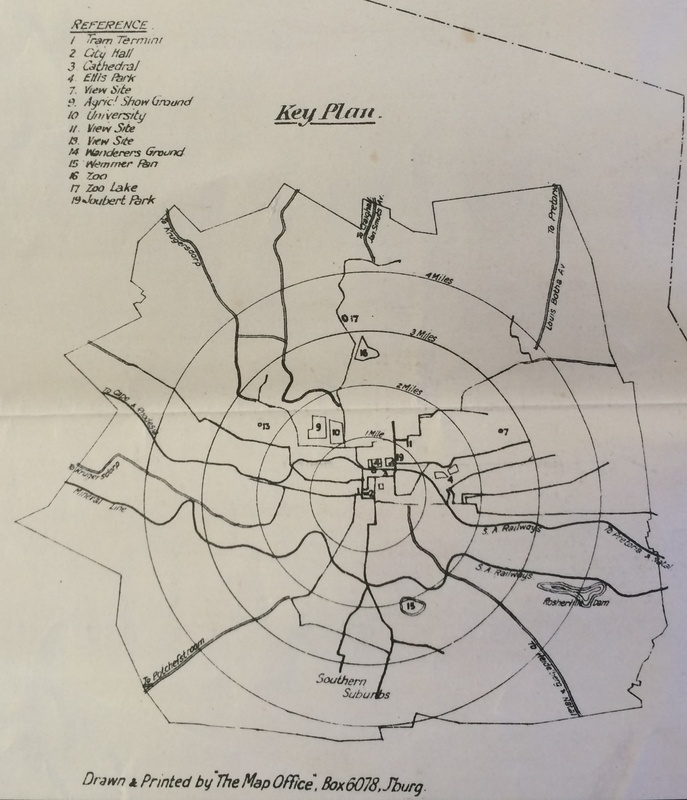 I have a 1929 map of joburg. Do you want to post it on your site? Thanks Gwyneth! I’ve sent you a mail to get the file. My life started in Johannesburg in 1939 and I have wonderful memories of those early days of travelling by tram. What excitement l. My fascination was the driver having to swing the long overhead ‘pole’ by using the long pole with a big hook on it that was kept in the ‘exhaust pipe’ under the tram. It wasn’t easy to do. We lived in Rosettenville Ext and often took the tram to Malvern, the Zoo, Kensington, and I can remember some of the routes very well; down Jan Smuts Ave next to the Zoo fence, often seeing animals across the fence while we traveled. The track along the fenceline of Turfontein Race Course. And all prices, as you remind us, were under a shilling. Simple living. Oh, if we could go through it again. Maybe not since we really only remember the happy thoughts and not the thoughts of traipsing through town from one tram stop to another. sometimes in the cold and rain. One thing that interests me in your lovely story, is that part of your telling about the trolley on the tram being handled by a long stick. As far as I know, the trolley was turned around by means of a rope and not a stick. Underneath the trolleybuses a holder was fitted to store a bamboo stick used to put the trolleys on the line, or to put them back after an unfortunate dewirement or to pull the trolleys down at the end of duty. But I never knew that such a long stick or bamboo was ever used on the trams. 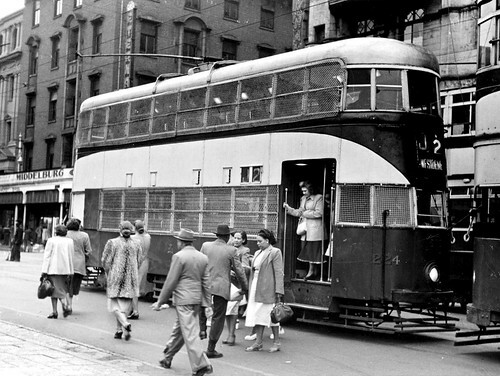 To my knowledge, all trams had ropes attached to their trolleys in order to put the trolley on the overhead, or to turn the trolleys at the terminus or to disconnect it from the line at the end of duty. Please do correct me if I am wrong. Aha! We live and learn…I’ve lived in Joburg since 1964 and always wondered where the Rifle Range as in Rifle Range Road was, and now I know. Looks like it was between what we now know as Xavier and Harry Streets, Robertsham. Marc, could you post a close-up of the Uncle Charlies intersection please? 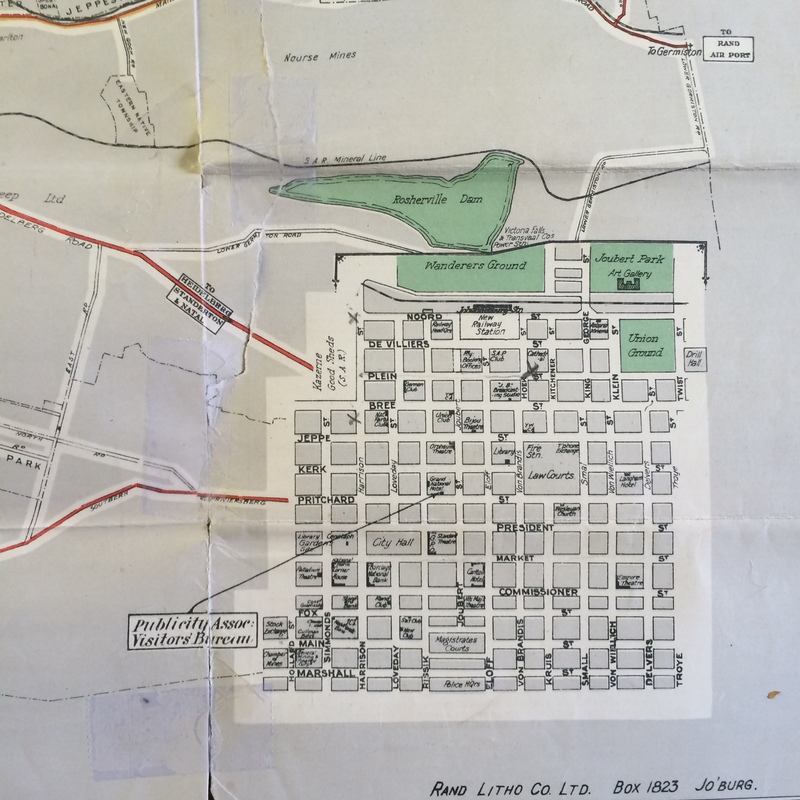 I see by the way that this 1931 map compared to the 1929 one, shows the road from Uncle Charlies to Main Reef Road, and that by this time Rifle Range Road is re-aligned east/west to come out at Uncle Charlies.